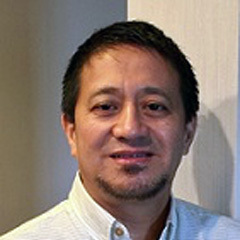 Dr. Winston Pineda is a Board Certified Psychiatrist located at Georgia Behavioral Health Professionals in Peachtree City. Dr. Pineda has over 16 years of clinical practice experience treating adolescents and adults. He strongly believes in integrating science and children spirituality in striving to help his patients. Dr. Pineda states that there are the certain foundations of attaining authentic "wellness". Dr. Pineda is the only MD in our practice that specializes in substance abuse and addiction medicine. He provides treatment methods that are focused on the patients. Dr. Pineda works with children and young adults in the treatment of ADD/ADHD, Mood Disorders, Obsessive Compulsive Disorder, Depression, Anxiety, Bipolar Disorder and many more. He attended medical school at the University of the Philippines. Dr. Pineda completed his Residency Program in General Psychiatry at the University of Texas Medical Branch (UTMB) in Galveston, Texas. Dr. Pineda was an â€œExemplary Psychiatristâ€ Awardee in 2008 from the National Alliance for Mental Illness. Dr. Pineda holds a Georgia Medical License and is a Diplomate American Board of Psychiatry and Neurology member.